Love the gifts!! Great ideas. The holiday caramels look too pretty to eat, and the flowers are absolutely perfect for a holiday hostess gift. Heck, I’d like those as a festive gift for my own home. I’d send it to a good friend. This is a great idea! 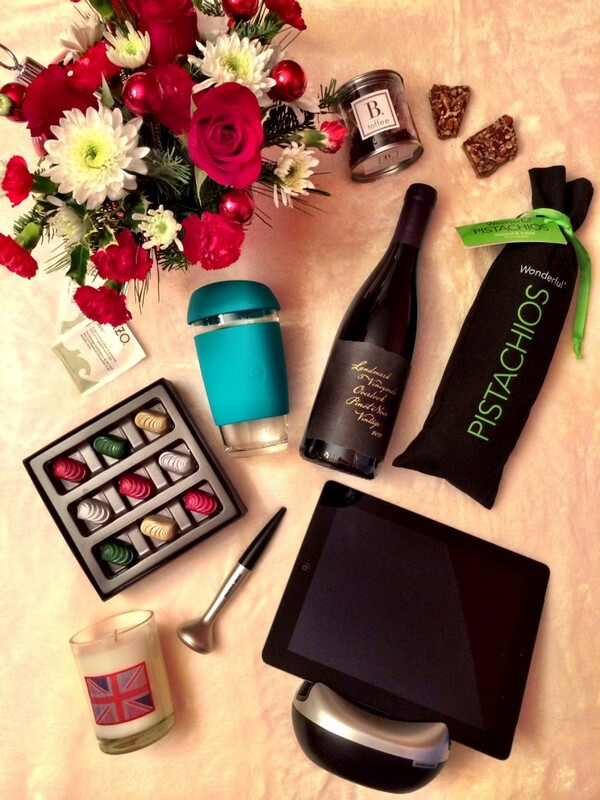 I think all of these would make amazing gifts, especially the chocolate caramels and nail polish! I would definitely gift this to my mother-in-law. She understands that hubby and I are on a tight budget with me in grad school, and has forbidden me to spend any money on her for Christmas. I’d love to surprise her with a bouquet and not get in trouble! I love your gift ideas! It’s so hard to find a unique hostess gift, so I definitely admire your ideas! I would give this to my mother. She would enjoy it. I Think I Would Keep This Gift To Enjoy For Myself.